With the change of weather, people all around are sniffling and sneezing. I couldn’t afford to get sick either. So, other than taking a bunch of Vitamin C every day, and drinking my green tea, I made one of my favorite soups. I tried getting oxtails for this, but the store did not have any at the time. 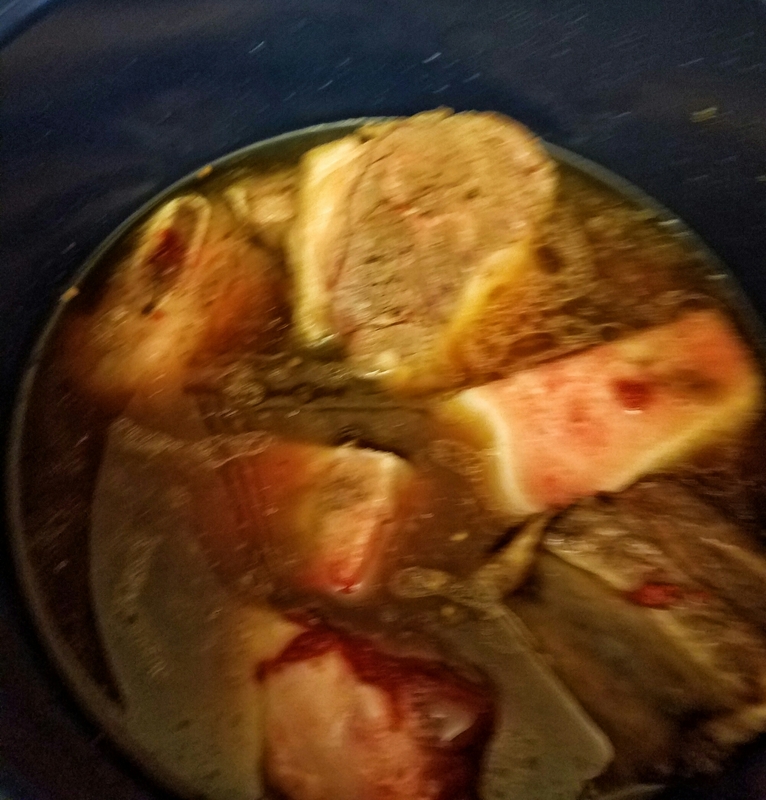 So, I bought some short ribs, marrow bones and beef shanks for the protein. I also picked up a bag of soup vegetables that included carrots, potatoes, celery, parsnips, an onion, and a turnip. I also diced some garlic cloves. I set my pressure cooker to saute so I can brown the meat (it adds more flavor). 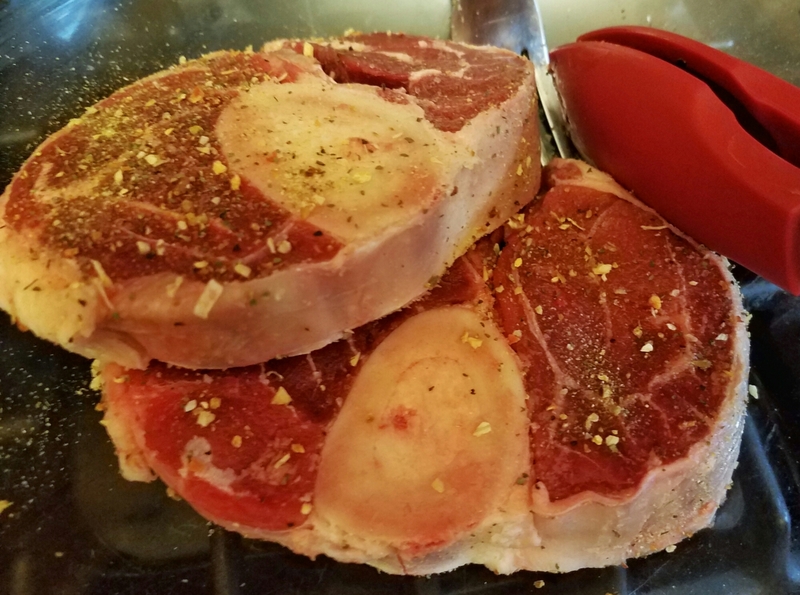 While that was heating up, I seasoned the meat with salt and pepper. 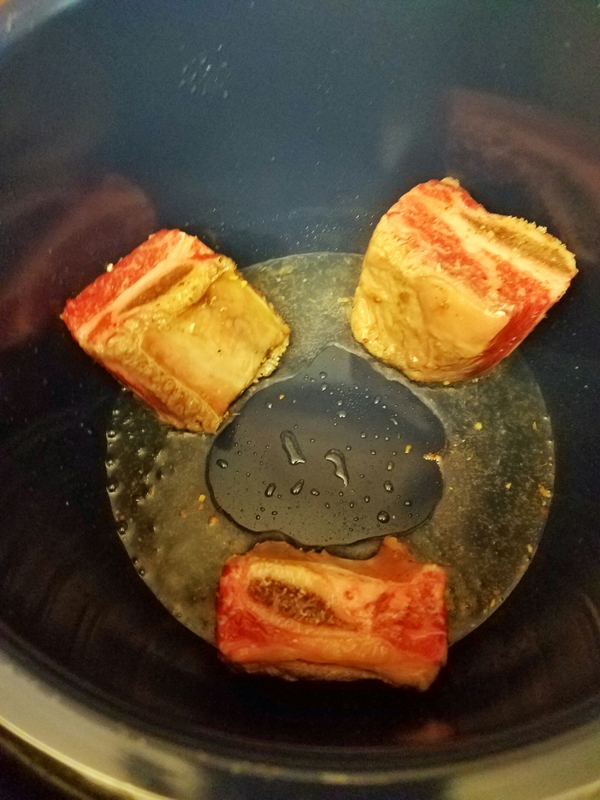 I also smothered some tomato paste onto the marrow bones. 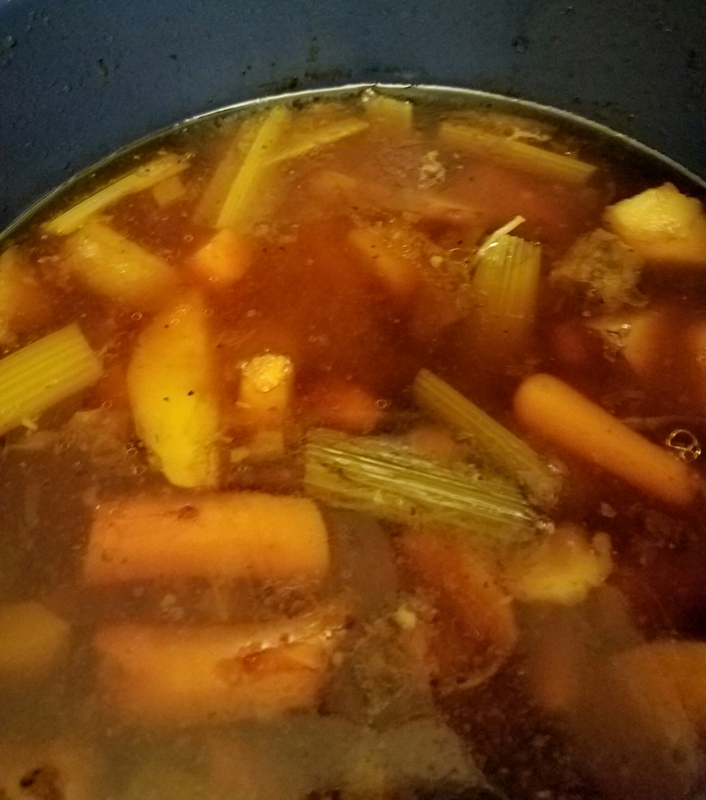 The marrow bones add more flavor and richness to the broth. I melted a tablespoon of coconut oil (or you can use olive oil) in the pressure cooker, and then added the meat. Once the meat was browned, I added the garlic and chopped onion. Once the garlic and onion became glossy, I added the beef broth (for more flavor). I set the pressure cooker for 35 minutes. At this point, let it cool completely, place the inner pot into the refrigerator until the fat solidifies on the top. Once it does, remove the fat and reheat the pot in the pressure cooker. I set it on saute for about 20 minutes. 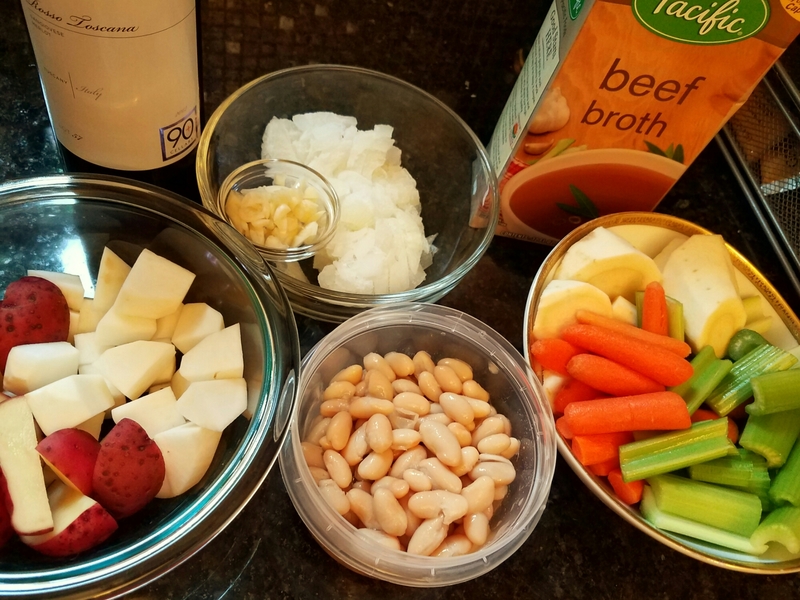 Once the broth returns to liquid, add the rest of the vegetables and a bay leaf. Then reset to Pressure cook for at least 30 to 45 minutes. Ideally, you would let the flavors marry over a day or so. If not, its still alright – its still yummy! Thirsty Thursday: It’s National Coffee Day!! How did you celebrate National Coffee Day? It’s no secret that Justine, Maeven, and I LOOOVE our food. And that includes our coffee!! Of course, we here at Eat Play Chicago LA will not let this day go by without sharing with you guys how we celebrated this awesome holiday. Justine went to Krispy Kreme with the two kiddos for coffee and donuts. Coffee is life and everything, but just look at how yummy those Halloween donuts look! 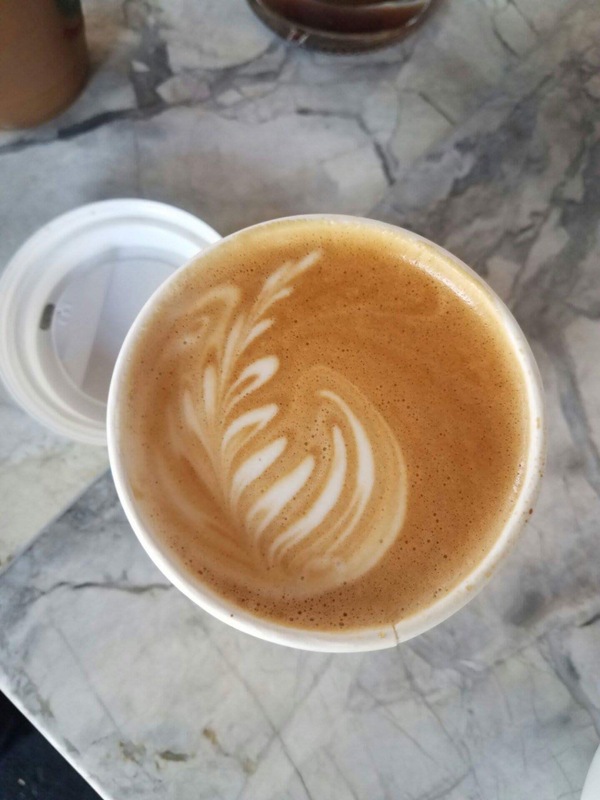 Look at how beautiful Maeven’s Cafe Latte is from La Colombe in Andersonville, Chicago. 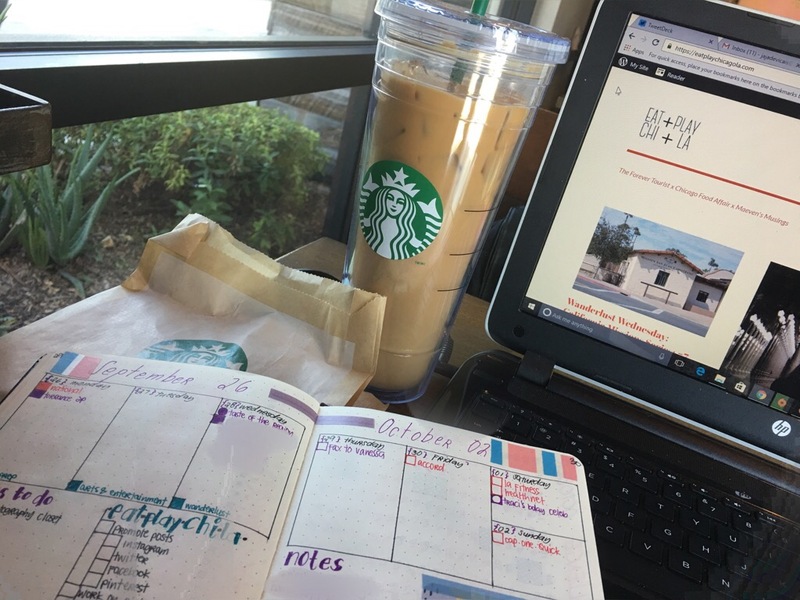 As for me, I spent the afternoon at my makeshift “blogger’s office” at Starbucks to enjoy my venti Iced coffee paired with vanilla bean scones. How did you spend National Coffee day, our fellow coffee enthusiasts? Let us know! Have a nice day and enjoy that cup everyone! As a small reminder, make sure to carry with you a reusable cup to help the environment a little, not just to day but as often as you can remember. Author eatplaychicagolaPosted on September 29, 2016 September 29, 2016 Categories Thirsty ThursdaysTags blog, cafe latte, California, Chicago, coffee, coffee day, cup of joe, drinks, iced coffee, illinois, krispy kreme, la colombe, Los Angeles, national coffee day, personal, starbucks, thirsty thursdayLeave a comment on Thirsty Thursday: It’s National Coffee Day!! Welcome, everybody! Thank you for stopping by and checking out EatPlayChicagoLA, a blog and social media collective about places to explore in the Chicago and Los Angeles area. We will also try to cover topics about lifestyle, travel, food, and everything in between – wherever we find ourselves to be. Please feel free to follow our little brainchild, and we hope that you enjoy our content! Let’s meet the bloggers, shall we? That’s all for now! Thank you again for taking the time to stop by and check out EatPlayChicagoLA. Stay tuned as we bring out more posts about what we are up to. Author eatplaychicagolaPosted on September 1, 2016 September 2, 2016 Categories Introductions Are In Order..., UncategorizedTags blog, eatplaychicagola, intro, introduction, lifestyle, personalLeave a comment on EatPlayChicagoLA is NOW LIVE! !